Friday, April 1 – Opening at 11 a.m. with a ribbon-cutting; enjoy free samples of sandwiches and Cinnabon rolls all day. Saturday, April 2 and Sunday, April 3 – Family-friendly event scheduled from 11 a.m. to 2 p.m. on both days. Activities include a bounce house and exciting games such as toss the football and a spin wheel in which guests can win prizes. If you haven’t already, make sure to join the Bun & Fun eClub to receive notices of specials and coupons. Opening a single franchise unit is often one of the most challenging–and sometimes rewarding–things an entrepreneur can do. Opening multiple units of a franchise is for advanced franchisees only. And opening several franchise units across several different brands? That’s like earning a doctorate in the small-business school of hard knocks. But despite the difficulties of juggling multiple brands, more and more tenacious and highly organized franchisees have decided that multiconcept franchising is the right growth strategy for them. What’s more, instead of demanding 100 percent brand loyalty, some franchisors are beginning to see value in multiconcept franchisees and actively courting them. Over the past 30 years, Greg Hamer Sr. of Morgan City, La., has built his family-owned B&G Food Enterprises into a 56-restaurant, multiconcept corporation with 1,300 employees. In 1982, Hamer sold his share of an oil field services business and opened a Taco Bell unit. From there, he invested in a string of Taco Bells. For a decade and a half, B&G expanded across Louisiana, Texas and Mississippi. But in 1998, when Yum! Brands, the parent company of Taco Bell, began allowing franchisees to buy into its other concepts, Hamer decided to get into Kentucky Fried Chicken, too. “We hadn’t reached our saturation point, but we wanted a little diversity and opportunity for growth, and at the time, the way KFC’s territory was set up, it was a little easier to develop than Taco Bell,” Hamer says. This year, Hamer is expanding once again, this time outside the Yum! Brands umbrella. He’s opened his first Teriyaki Experience location in Houston, with another in development, and he plans to open a total of 50 locations in Houston within the next 10 years. He’s betting that the restaurant’s healthful steamed offerings catch on, but it’s also a way for his company to grow now that his Taco Bell and KFC territories are hemmed in by other franchisees. These days, franchisees who want to go beyond the traditional single owner-operator model have to ask themselves whether multiconcept franchising is the right way forward. The practice of running two franchises from two different companies was not always accepted. In fact, companies were often afraid of having star franchisees stolen by other companies. “In the old days, people were more defensive about franchisees being poached by other systems,” says Lane Fisher, a partner at the franchise lawfirm FisherZucker and a board member of the International Franchise Association. “The world was centered around area development deals and franchisees opening multiple units of the same franchise. So instead of focusing on small mom-and-pop prospects reliant on hard-to-find credit, franchisors began looking at proven franchisees of noncompeting systems with deep pockets and access to capital. Over the last few years, multiconcept franchisees and franchisors have gone public in a big way. “I think there has been a change in the last 10 years,” says Paul Damico, CEO of Moe’s Southwest Grill, a franchise concept that’s part of the Focus Brands family (which includes Cinnabon, Schlotzsky’s, Auntie Anne’s and Carvel Ice Cream) that actively seeks multiconcept recruits. Damico hunts for prospects at a spate of multi-unit trade shows that have popped up in the last few years, and also advertises for prospects in the Wall Street Journal. But most important, multi-unit franchisees typically have the type of infrastructure that makes expansion easy. They have a whole team of construction pros, real estate developers and others working to put up new units. For small owner-operators, multiconcept franchising may not be as complex as setting up an entire new division, but integrating a new system is still a challenge. In 1999, Jeff Orlando opened a Wingstop in a strip mall in Killeen, Texas. Over the next decade, he opened two more, both about 100 miles away. But the drive was too much, and managing problems from a distance was difficult. So he sold his satellite locations and focused on Killeen. When the owner of a nearby Schlotzsky’s decided to retire, Orlando saw the opportunity to expand his business without the nasty commute. The deli concept, it turned out, was the perfect complement to his wing business. Similarly, synergy drove Mike Park and Robert Schattner, co-owners of Purofirst of metropolitan Washington, D.C., to piggyback a Mr. Handyman franchise on top of their fire, water and mold restoration franchise. Park and Schattner came into their Mr. Handyman business, which they opened last October, with 15,000 to 16,000 high-quality leads from their Purofirst clients, an advantage that helped them launch two Handyman trucks–with a third and fourth on the way–even though they anticipated almost no business throughout the winter. Park isn’t alone in not wanting to muddy the waters. Franchise powerhouse McDonald’s, for example, is strict about franchise cross-pollination. Business professor Hayes thinks that most franchises frown upon, or are restrictive of, multiconcept franchising, because the risks are obvious: If one concept fails, it may cannibalize attention and resources from a franchisee’s other businesses. And mastering the ins and outs of two franchise systems can be difficult. ﻿A rebranding initiative will cost a good amount of money, but there can be a huge payoff in the end. A poor economy can affect just about every business—from the local mom and pop shop to the franchising juggernaut. During a recession, most companies cut budgets and slash prices to accommodate the shifting needs of consumers. While this may help in the short term, this strategy can actually negatively affect both the franchise and its franchisees. One successful strategy that carried Schlotzsky’s through the recession is rebranding. Instead of sitting back and holding on tight, the company decided to completely reinvent its brand in the midst of a recession. After developing a new prototype, service model and signing a co-branding deal with Cinnabon Express, the Schlotzsky’s brand is now stronger than ever. There is a lot that goes into a brand makeover, but it all starts with a strong strategy. When rebranding, remember the “make new friends, but keep the old” rule. Never stray too far from your roots. Remember the product that brought you your original success. While your loyal base of customers will recognize and appreciate that you listened and acted on their needs, a steady stream of new customers will follow. Many brands will become causalities of the recession, while the remaining brands will gain a larger audience and attract consumers looking for a change. Rebranding may not seem like the best choice during a recession because it can take a significant amount of time, cost a lot of money and there is no guarantee that it will be a success. However, studies have shown that the best time to steal the spotlight from your competitors is during a recession. To be effective, your company needs to conduct research, have a strategic plan in place and understand that a rebranding initiative will cost a good amount of money, but there can be a huge payoff in the end. 1 Pay attention to consumer trends. Consumer confidence diminishes during a recession, leaving many brands struggling to stay above water. It is crucial to understand consumer needs and consumer trends and be willing to make changes as needed. Companies have got to stay ahead of the trends by remaining proactive and thoroughly researching the existing customer base and new audiences the franchise seeing to attract to help it decide what to change and what to keep the same. Often the relationships built with consumers during times of crisis are stronger and last longer than those built during times of economic prosperity. Look for new opportunities where other brands have failed and capitalize. Consumers are facing the same challenges business owners are facing—everyone’s budgets are tighter. Consumers want to know that your franchise understands this, and they want to see the brand do something about it. Now is the time to build a strong bond with consumers. Businesses will find more value in viewing the recession as an opportunity to build their brands as opposed to sitting back and waiting for the recession to end. Consumers want to believe that your brand is in it for them. If the franchise is proactive and follows consumer trends, rebranding can have a huge payoff and be the single most important thing to do for the franchise. 2 Develop a clear brand strategy. When rebranding, it is important to maintain the core of your business, but change enough for consumers to take notice. A rebrand is about updating and keeping current with consumer trends. Researching consumer trends can play a huge part in your brand strategy. If the company focuses on consumer trends and looks at how the brand is different and how that difference creates value for the consumer, it will increase consumers’ confidence in the brand. The necessity for a clear message is more important than ever during a recession. Knowing how unpredictable the economy can be and how downturns impact consumer spending, it is important to take proactive steps to enhance the brand and stay relevant. Generally speaking, the product is probably not the issue—it’s the perception of the product. Freshen up, make the appropriate changes and the consumer demand will follow. 3 Spend wisely. Rebranding is one of the single most important decisions a company can make. It can provide the boost needed to grab a larger market share, but it can also cost a pretty penny. Big decisions like these should be focused on spending wisely, but too often companies opt to do nothing at all. The typical reaction to a slow economy is to cut back and it things out. Ironically, if your brand decides to stand back and wait things out, he can end up damaging the brand. Many of the weaker brands, and in some cases stronger brands, will die off by the time the economy resurges. There are tremendous lessons to be learned during a recession. A franchise does not have to become a causality of the recession. Historically, companies that invested in their brands during economic hardships retained their core audience, attracted new consumers and emerged stronger in the end. Rebranding can drive growth in an up market or protect the company’s value in a down market. Consumers tend to spend less overall and become far more selective about where they spend the little money they have. This can expose and amplify brand weaknesses, and highlight brand triumphs. As consumers become more price-conscious and less forgiving, they disregard brands that fail to provide relevant value. Companies that form a strategic plan and invest in their brand will ultimately come out of the recession unscathed, and often ahead of the competition. The company behind seven Oklahoma Schlotzsky’s restaurants opened a tri-branded Schlotzsky’s on the northeast corner of 41st Street and Yale Avenue on March 7, with plans to bring five more stores to the Tulsa market by 2011. “We’ve been looking for a location in this area since 1996,” said Shane Ramsey, director of operations at the new Schlotzsky’s. With his family and partners J.J. Ramsey and Tina Harris, Ramsey also heads up RAM-Z LLC, the company that operates the other seven Schlotzsky’s restaurants, including three in the Tulsa area. The new location reflects the recent rebranding of the deli sandwiches chain, which is often co-branded with the Cinnabon and Carvel concepts, all of which are products of Atlanta-based operator and franchisor FOCUS Brands. These new stores are dubbed the “Lotz Better” Schlotzsky’s locations. On the menu are 15 sandwiches, all served on round buns that supply the basis for what Ramsey called “bun humor,” a theme in the rebranding of the fast-casual concept that he said brings fun to the atmosphere. Breakfast sandwiches, wraps, gourmet pizzas, salads and soups are on the menu, too. Cinnamon rolls from Cinnabon and soft-serve ice cream from Carvel round out the breakfast and dessert options, allowing the new concept to offer all three meals — the only Schlotzsky’s to do so. Construction on the restaurant, which measures 3,100 SF and offers a 66-seat patio, began late last year. Ramsey said he has already hired 80 for the opening, three times the staff at his other stores. Schlotzsky’s continues to target markets in the southern, south-central and western U.S., where the company seeks deals with multiunit developers. With 350 locations now in operation worldwide, Schlotzsky’s president Kelly Roddy said in a release that he plans to open as many as twice that number of stores by 2015. Ramsey said he’s looking to expand his own holdings in the Schlotzsky’s brand by five stores within the next four years. “We’ve been looking in west Tulsa, Catoosa, Claremore and downtown Tulsa,” Ramsey said. Hours at the new Schlotzsky’s location in Tulsa are 6 a.m. to midnight, seven days a week. AUSTIN, Texas – (March 14, 2011) Austin’s very own Schlotzsky’s, home of The Original® round toasted sandwich and famous Fresh-from-Scratch® buns, has announced its 29th Annual Bun Run®, scheduled for Sunday, May 1. The longest-running 5k in Austin’s history will get a fun jump-start with a T-shirt design contest that will reward one lucky winner with a $1,000 check. Through March 24, 2011, Schlotzsky’s will accept designs for the Schlotzsky’s 2011 Bun Run T-shirt. Judges will then select five T-shirt designs based on the most creative, and which best reflect the Schlotzsky’s brand, to showcase online at www.bunrun.com from March 28 to April 10, 2011. The winning artist with the most public votes will receive $1,000 and recognition on the day of the race, as well as have thousands of race participants and volunteers sporting his or her design on their official, long-sleeve Bun Run T-shirt. Hosting more than 5,000 runners, walkers and joggers, as well as a few four-legged friends, Schlotzsky’s Annual Bun Run began in 1982, with the goal to become more involved in the Austin community. Through a partnership with the Young Men’s Business League (YMBL), the race has raised an average of $50,000 throughout the years with all proceeds benefiting the Austin YMBL Sunshine Camps, a program for at-risk and disadvantaged youths. The 29th Annual Schlotzsky’s Bun Run will take place Sunday, May 1, 2011 at 8:30 a.m. CT at South First Street in Austin, near Auditorium Shores. Additional events during the Schlotzsky’s Bun Run include the race day expo and the Lil’ Bun Run 1k that starts at 7:30 a.m. As an added treat, Schlotzsky’s will stay true to its fun, quirky and unique roots by setting up stations along the race route known as “The Taste of Schlotzsky’s.” The first station will host the brand’s made-from-scratch bread, and the other will feature Schlotzsky’s mouth-watering samples of Cinnabon® Classic Rolls. 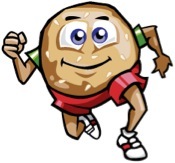 For complete details about the Schlotzsky’s 29th Annual Bun Run and T-shirt contest, please visit www.bunrun.com. March 08, 2011 // Franchising.com // AUSTIN, TX – Schlotzsky’s® is giving one customer more than just their delectable, high quality Fresh-from-Scratch® bread and delicious sandwiches. In August, Schlotzsky’s launched a fall promotion, offering three new limited-time-only sandwiches and a chance to win a classic American car, perfect for a drive down Route 66 – a 2011 Chevy Camaro. During the “Pick Your Chicks on Route 66” fall promotion, Schlotzsky’s took the road west and designed three new sandwiches, the Santa Fe Chick, Sedona Chick and California Chick, each featuring ingredients inspired by their individual regions. Schlotzsky’s Route 66 promotion proved to be more than just a fun and rewarding contest for their customers. Schlotzsky’s increased their Bun & Fun eClub membership by 16 percent during the summer/fall promotion, making it a very successful limited-time-offer for the company. Bun & Fun eClub members receive special offers and alerts from Schlotzsky’s, including information on Schlotzsky’s limited-time-only offers, and special offers that include coupons, a free sandwich on your birthday and other great offers. To join, go to http://www.schlotzskys.com/cms/fun. March 02, 2011 // Franchising.com // AUSTIN, TX – Schlotzsky’s, home of The Original® round toasted sandwich and famous Fresh-from-Scratch® buns, is proud to welcome Paul Freeman as the new Vice President of Research and Development. Freeman, who has an extensive professional background in culinary services with Metromedia Restaurant Group and restaurants such as Steak & Ale, Bennigan’s, Perkins and Bob Evans, has been appointed to lead the menu development in accordance with the new look and feel of each restaurant. As Vice President of Research and Development, Freeman will continue to improve Schlotzsky’s menu offerings while maintaining the core of Schlotzsky’s business—their buns. Freeman holds a culinary degree from The Culinary Institute of America and has more than 30 years of experience in the restaurant industry. Schlotzsky’s recently introduced an entirely new brand image that is attracting a younger, hipper crowd and refueling franchise growth around the country. The brand reinvention, which is literally and figuratively “All ‘Round ‘Lotz Better,” includes a new prototype restaurant featuring vibrant colors, playful slogans, contemporary furniture and artwork, and a partnership with sister company Cinnabon® that offers franchisees two brands under one roof. Schlotzsky’s also introduced a new service model where crew members hand-deliver food to the tables.